There’s nothing quite like peeking over a co-workers’ shoulder and seeing where they work from, at least, from a computer point-of-view. 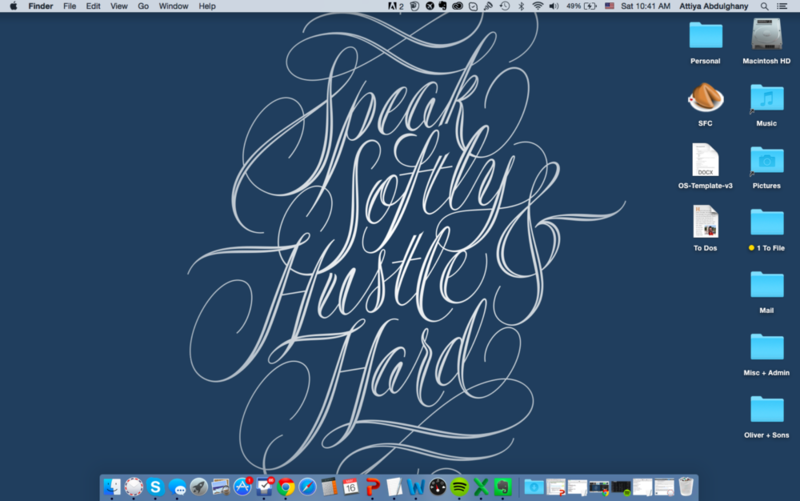 We take a look at O+S’s desktops, which were submitted willingly, we promise. Images, folders, and favorite tools — revealed! By Friday, my desktop is a total nightmare of screenshots, GIFs and miscellaneous text edit files for notes. Which means there is always a purge before the weekend… to center the mind, as it were. I always have multiple Word Docs in my bay, because there always seems to be more than one ongoing post or article. I recently paired down my Dock to the bare essentials, and by that I mean the stuff I use more than twice a week. Nothing that interesting, really. Oh, except for Popcorn Time, which makes cancelled cable in-lieu of Google’s Chromecast totally worth it. The actual desktop is sorted by client folders, mostly. And then “all the other stuff”. As for the image, I found these sets of images online and love this polygonized photograph. I tend to steer towards nature imagery when staring into the digital void. Makes me feel more calm. I cannot live in chaos, and tend to prefer minimalism in all things. I have a desktop folder for the most important things, keep a todo list in a simple text doc. Airmail – Infinitely better than the standard Mail application for Mac. And, totally free. Skype – It’s basically our virtual office. Spotify – Jams all day. Things – Possibly one of the best task management apps on the market. I found the desktop image that’s on my Chromebook by googling “office brawl”. I like it because it reminds me that things we consider modern woes usually have pre-modern precedent. I only use my Chromebook for work and Chromebooks don’t allow desktop icons of any kind, which I sort of like, from a clutter avoidance perspective. Everything I need to speed up resource finding I keep either in Chromebook’s Tray (on mac, it’s called a Dock) or in Chrome’s bookmarks bar. I despise not finding things quickly. The main reason I use an Android phone is because it lets me make my phone look however I want. I use Buzz Launcher to customize home screens like the one pictured here. On non-mobile devices I use Gmail’s browser interface for email but try and do as much email as possible from my phone on which I use Google’s Inbox app for personal accounts and Dropbox’s Mailbox app for work email. Mailbox encourages you to deal with (respond to or organize) emails as they come in. 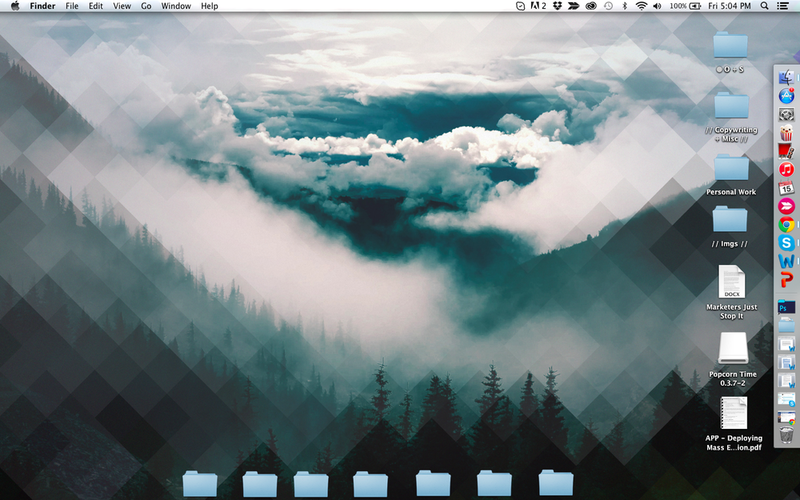 I like this approach and try to do the same for my Mac desktop. 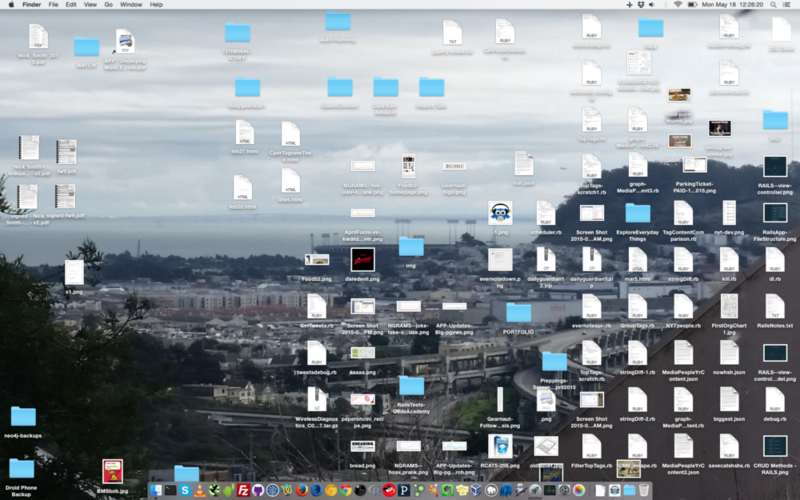 When it comes to my Mac – which I use for work, programming and personal tasks – I view the mess that is my desktop as less methodical madness than intellectual challenge. In practice, things build up and the intellectual challenge part is being able to still access unorganized information efficiently – using evolved as opposed to designed memory. I never do bulk desktop cleaning but I do regularly chip away, storing things locally or online as I go. The background image I took myself from Bernal Heights in San Francisco- it’s of Candlestick Park on the day they began tearing it down. As you can see, I like to keep a tidy workspace. It’s rare to see any icons on my desktop. Here are a few tools I use on the daily that make my life feel more manageable and more beautiful. My favorite little widget is the free Bowtie app, it’s a gorgeous tool for seeing and navigating your current playing tracks. 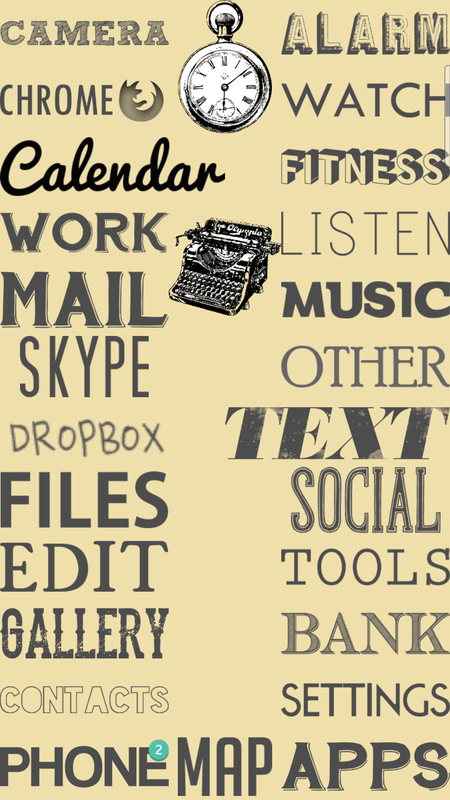 There are bunch of themes, but my favorite is this typographic one that rests in the corner of my screen. Is it necessary? No. But it’s just so cool. Mailbox for Mac is still in beta, but I use it religiously and I could not wait for it to become a desktop application. I don’t know how to parse my emails other than through Mailbox. It is simply the best and finally being able to use it for work is a dream. Sunrise Calendar is a savior. It is one of the only calendars I’ve ever used that works for absolutely every platform out there. Whether you’re using Google Cal or Exchange, Sunrise gives you a beautiful interface (and beautiful email invites) for any events you’re planning. It works on every platform and is just simply the ideal for work or personal applications. By far, my favorite tool is Isolator. It dims everything other than the window that you’re focused on. If you need to dig deep into your work, nothing is better than Isolator. It allows you to focus on what’s on what’s important – even with a messy screen. 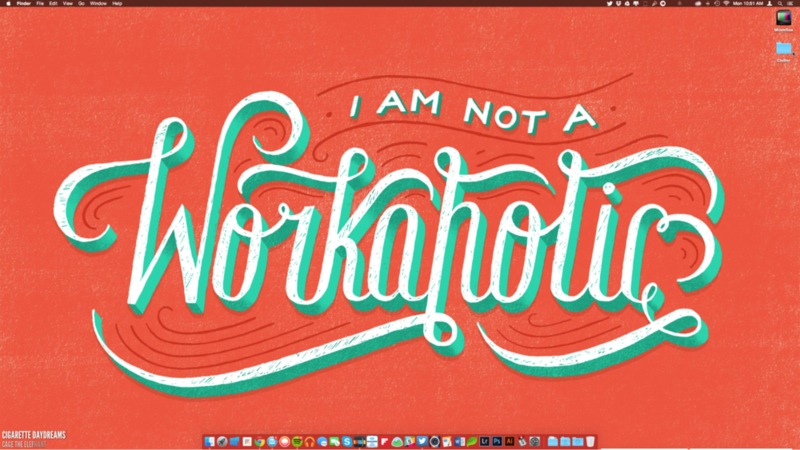 We all live and work virtually these days, so how do you keep your desktop organized? What tools can’t you live without? Let us know on our Facebook page or on Twitter.